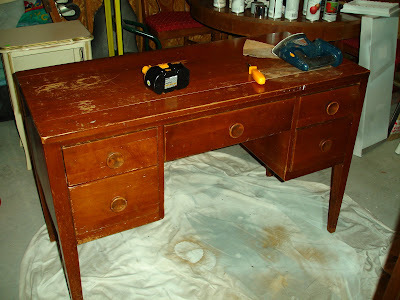 Ok, I have finally finished the desk I have been working on. I found this desk for a great deal at the Goodwill. I thought someone had already bought it when I first saw it, but when I asked about it up front she said the lady couldn't fit it in her car so she didn't buy it. I was so excited! It was meant to be! I think I am going to sell this as well, seeing as how I have absolutley nowhere to put it. These knobs are from Hobby Lobby. As I have said before they have the best, most unique knobs at the best prices. The only problem is they have so many great ones, which makes it very hard to decide. I finally settled on these white ceramic roses. Thank you Anny! It's amazing what a little paint will do! Oh wow! Great job! It's gorgeous! It looks wonderful. I love those knobs. Stunning! I love the hardware! Love it! 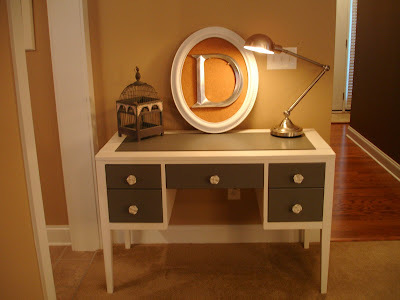 I am currently searching for a Goodwill desk of my own. 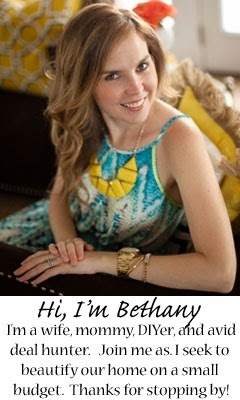 Bethany, I love it! So beautiful. You are so talented! This little lady is BEAUTIFUL!! 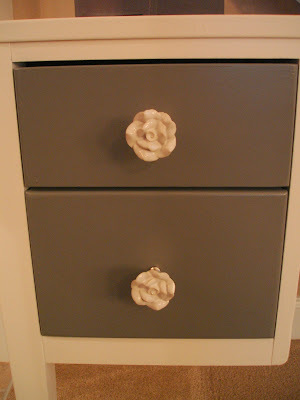 I love the colors, and I love the knobs! I've got to check out HB to find me some! Amazing. You are so talented and very creative! Thank you! Hobby Lobby is my all time favorite! They actually have an online store now so you can purchase some of their products online, including hardware. Hobby Lobbys knobs rock!!!!! 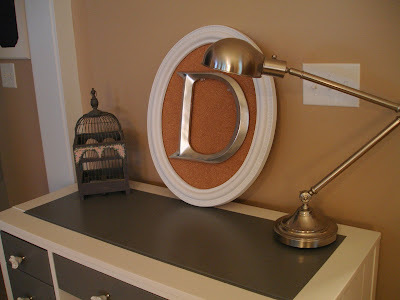 This makeover is great! Nice job! 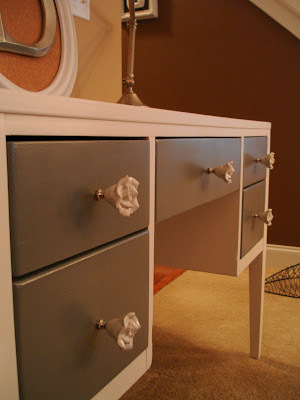 the contrast of the drawers and top of the desk paired with those stunning door knobs. oh my. be still my heart. Amazing! I wouldn't have recognized it - you have wonderful vision. Great job! It turned so nice.